Product searches on Amazon have begun to outpace those on Google, Bing and other search engines. 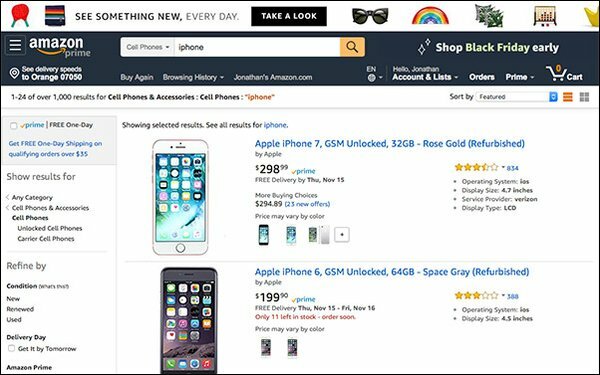 Perhaps that’s why Apple signed a deal to expand the selection of products sold on Amazon, confirming that the marketplace continues to gain traction as the first stop for product-type searches online. In other words, Amazon will sell and ship Apple and Beats products. The news, announced Friday, will give Amazon access to Apple's latest devices such as the iPhone XR, iPhone XS, and Apple Watch Series 4. The deal -- which spans across Germany, Italy, France, India, Japan, Spain, the U.S. and the UK -- also includes Apple’s Beat headphones. Amazon already sells some Apple products direct to consumers, but now only Apple-authorized resellers will be allowed to sell Apple and Beats products on Amazon's marketplace. Those selling on the marketplace now have until January 4, 2019 to sell their existing products before Amazon removes all of their listings. It will be interesting to see whether conversions actually take longer on Amazon versus Apple’s own site. The time a consumer searches to make a purchase is much shorter on Google compared with Amazon, Baker said. About 35% of those purchases were made within five days on Google, compared with 20% on Amazon. Amazon seems to be turning into a product discovery engine. Consumers will type in a product to find not only the products they recognize, but Amazon’s private-label product, and competing products. Then they might turn to Google to understand the purchase price or quality. They might search on Google to compare the product with other brands.